If you are looking for a face for Borneo birding, the Bornean Bristlehead must be it. This is the only member of the family Pityriaseidae and the genus Pityriasis. This uncommon bird of the lowland and peatswamp forest finds itself pasted on posters and publications. 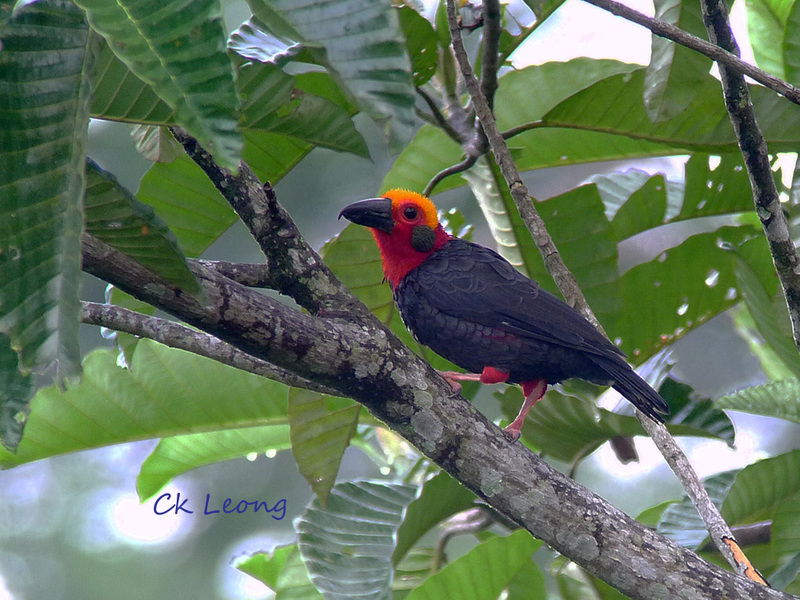 Not surprisingly then, it is on the wanted list of most visiting birders to Borneo. The lucky get to see it moving nosily through the forest canopy, usually in groups of 5 to 8 birds. What joy! If you are at the British Bird Fair this weekend, look for this bird at Marquee No. 1.